Snow White, Beauty and the Beast, Little Red Riding Hood — fairy tales like these have enchanted children and adults for generations. Not only do these classic stories entertain us in books, films and plays, they’re also the inspiration for paintings, party themes and bridal gowns. Fairy tales can even inspire home decor. From beautiful bedding fit for a princess to decor that channels the mystery and majesty of an enchanted forest, you can decorate your home so that it reflects your favorite fairy tale. The following tips, based on key elements of fairy tales, explain how. Think of all the instances where fairy-tale characters interact with elements of nature: Hansel and Gretel get lost in a forest; Snow White shares a forest cottage with the seven dwarves. In some versions of Rapunzel, the story begins with her parents stealing from a sorceress’ garden. 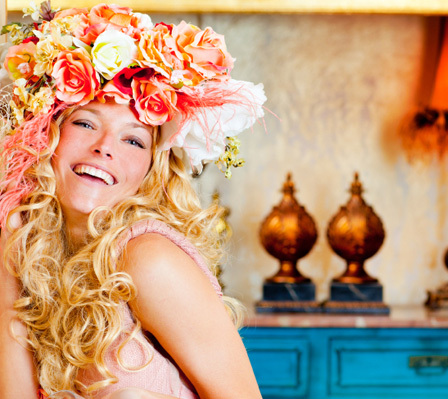 One of the easiest ways to achieve a fairy tale-inspired look is to bring the outdoors into your home. Jennifer Duchene, a designer and author or Le Chic Cocoon, suggests a few ways to create the feeling of being in a forest. “Maybe have side tables that use twisted wooden pieces, as if from a forest. I might introduce roses. I would create drapes made up of hundreds of fake roses in a mix of shades of pink,” she says. Interior designer Ebonee Bachman suggests placing green plants throughout your home to create the illusion of living in a forest. You can also decorate with manzanita branches, various flowers and berries. Retailers like Anthropologie offer woodsy wallpaper that can be used to create a stunning accent wall. You can also give a subtle nod to the great outdoors using a Scentsy wickless candle. 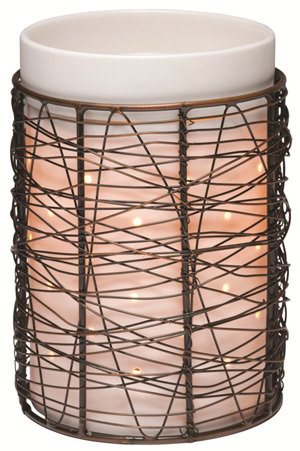 Scentsy’s loom warmer wrap features a thin wire weave that resembles an intricate bird’s nest or tangle of branches. When opting for floral rather than forest decor, try Scentsy’s bride warmer, which features a romantic rose design. Besides complementing fairy tale-inspired decor, warmers like these can waft a lovely, outdoorsy scent throughout your entire home. Like nature, animals are a key element in many fairy tales. Characters often transform into animals or receive guidance — both good and bad — from the animals they encounter. 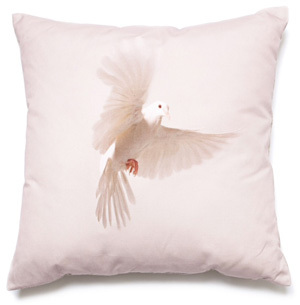 To work creature elements into your home’s style, decorate with faux-fur throws, pillows or rugs. Adorn the wall with photos or artwork featuring classic fairy-tale animals such as wolves, birds, bears or horses. Kings, queens, princesses and princes are common characters in fairy tales. They live in luxury — and you can too. To design an area that reminds you and others of these classic stories, be prepared to give the space the royal treatment. Interior designer Laura Michaels offers several tips that are particularly helpful for decorating a fairy tale-inspired bedroom. Describing a bed fit for a princess: “The headboard would be covered in white satin with small rhinestone nailheads. It would be quite high and have a tall arch. In the middle of the arch I would have an oval mirror inset and the nailheads would outline the shape of the mirror inset as well. The running boards would be covered in the mirror. Additional accents Michaels suggests include window treatments made of white silk velvet, fur throws, a chandelier, a mirrored vanity and over-scaled wallpaper of rhinestone jewelry and pearls. Whether you go the nature, animal or luxury route, keep Duchene’s advice in mind. She stresses that it’s important not to be too literal when decorating your home so that it’s reminiscent of a fairy tale. “Put your own voice into creating a fantasy. For instance, I would be tempted to focus on a couple of elements, instead of all the elements. Do something simple and bold,” she explains.